Integrity with Troy Dooly... Finding a real Network Marketing Home with Robert Blackman! Troy Dooly is recognized internationally as an influencer in the areas of personal branding, leadership development, marketing campaigns, organizational expansion, and corporate compliance strategies. His clients include start-up companies, multi-faceted public companies, billion dollar private companies, international marketing organizations and well-respected field organizations. 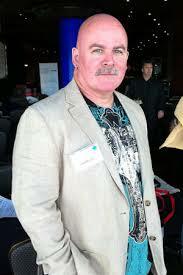 Dooly is a highly sought after mentor, speaker, results coach, and radio host. He is a founding member, show host (Beachside CEO) and News Director of the Home Business Radio Network. Robert Blackman • PROFIT LEADS... OUR STORY • When you're all members of Profit Leads together, everyone will be making more money--guaranteed! Plus, all your team members will also be guaranteed a commission check every month they are active, just like you!